This one is bugging me. I am pretty certain I have seen this shot before, but cannot for the life of me work out just which pub it is. I do know it was taken in Dover though on the corner of ???? Street, date unknown. 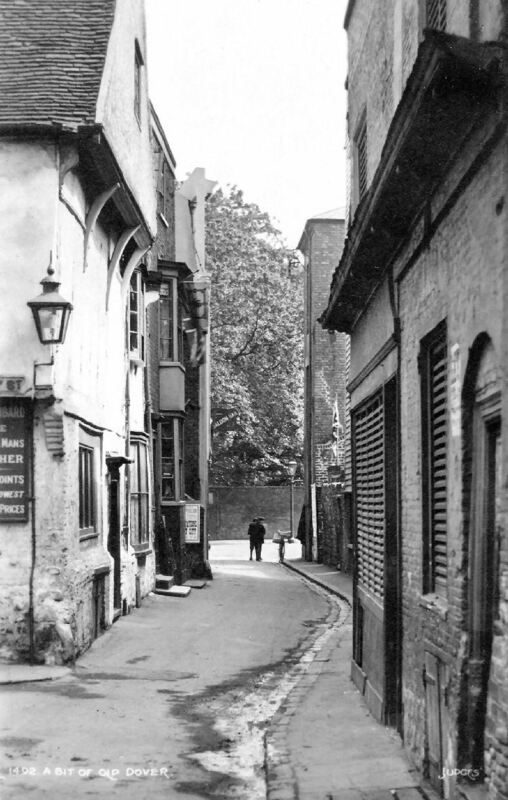 The above picture shows the location to be on the corner of St. James's Street and St. James's Lane. The shop shown was at the time a pet shop. The slatted board front of Dover's Town Mill can be seen down the lane on the right. From an email received 1 May 2015. 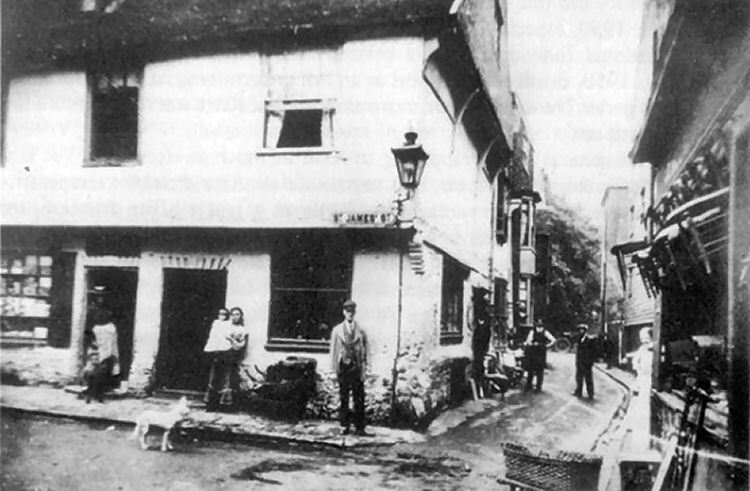 I think you will find this is the ROBIN HOOD pub that was in Townwall Street. No. 40, on the corner of St James Lane.